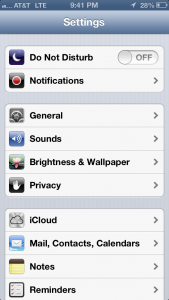 Many of our clients use an iOS device as their primary mobile phone or Tablet. 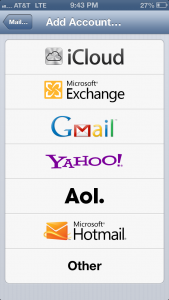 So to make it easier for you, our valued clients, we have created a guide on how to add your website’s unique e-mailbox to your iPhone, iPad or iTouch’s mail application! 1. 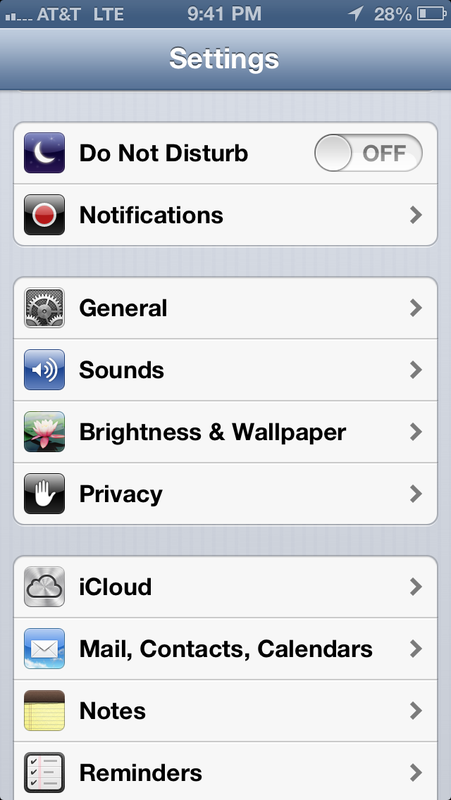 First, press the Settings application, it should be a grey/silver color that has gears as an image/icon. 3. 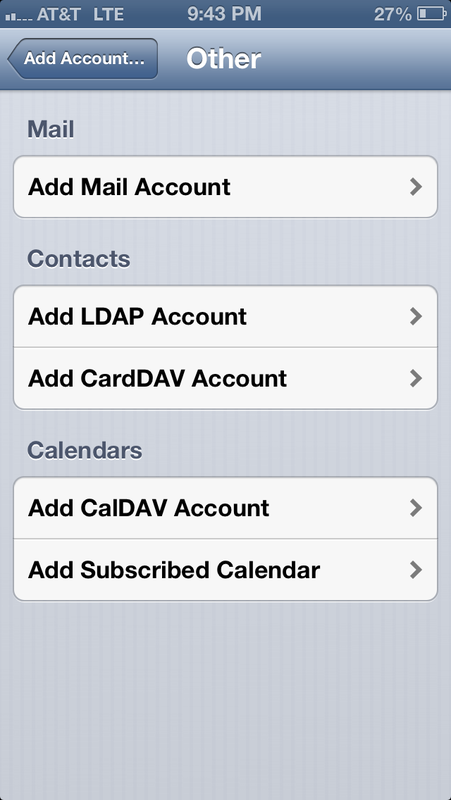 Press the “Mail, Contacts, Calendars” tab to bring you to the next screen. 4. Now, press “Add Account.” When you are prompted to pick the type of account, choose the “Other” tab on the bottom of the list. 5. 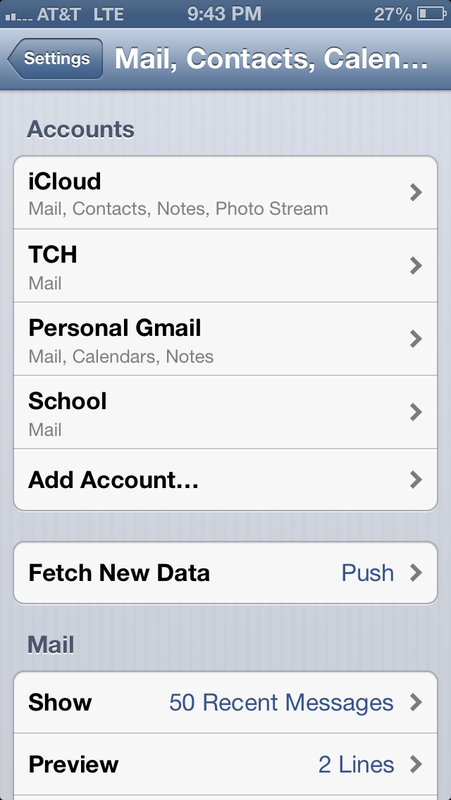 Press “Add Mail Account”, (it should be the first option on the screen). 6. 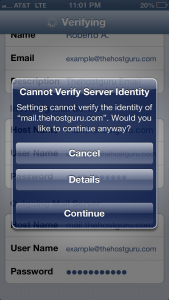 Now enter your name, your email account you’d like to receive mail from, your password, and a description such as “My Website Mail” to properly identify the account. 7.Enter your name, e-mail address, and description. Under “Incoming Mail Server”, next to “Host Name” enter: “mail.yourdomain.com“, substituting yourdomain.com with your actual domain name. 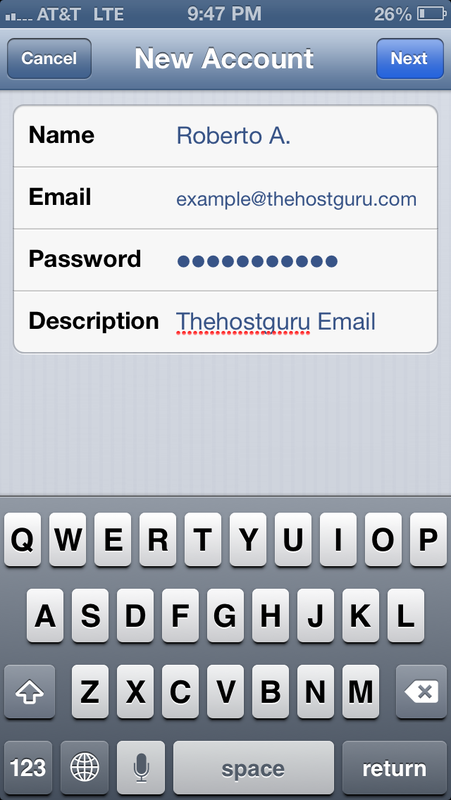 If your domain name is thehostguru.com, enter mail.thehostguru.com. 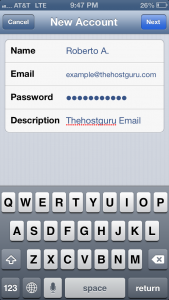 Next to “User Name” enter your e-mail address, and next to “Password” enter your password. 9. 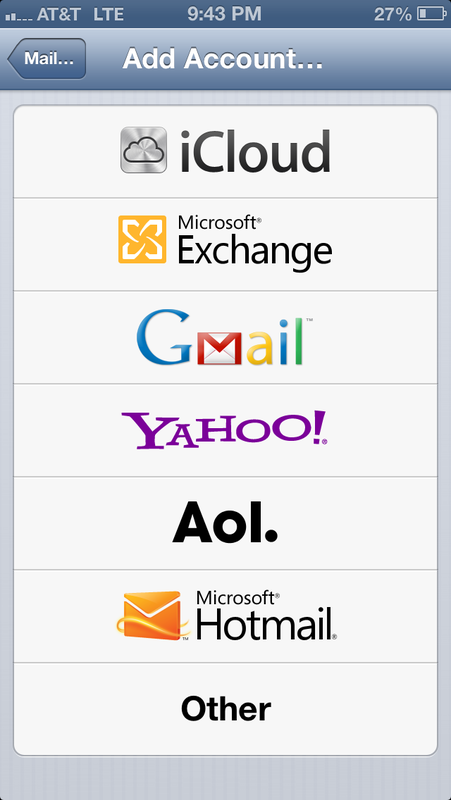 When you have entered all information, click the “Next” button on the top right. A message will pop up that reads “Cannot Verify Server Identity.” Simply push Continue, (you may have to push it again in a few seconds). And there you go! 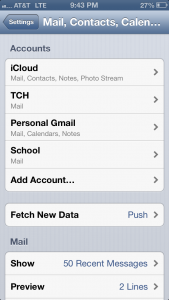 You should now be able to view your mailbox from the stock iOS Mail Application! 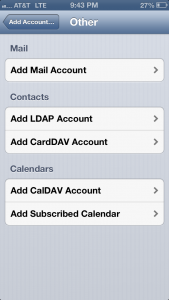 This entry was posted in General, Tutorials and tagged device, email, ios by Roberto Abbasi. Bookmark the permalink.